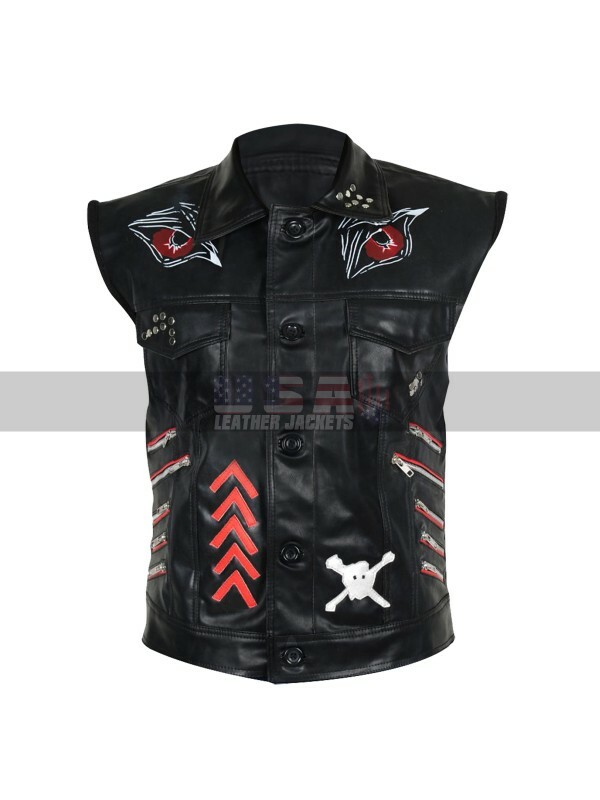 If you love to style some distinctive, funky pieces then WWE Superstar Baron Corbin Motorcycle Black Leather Vest is the perfect garb for you to grab. 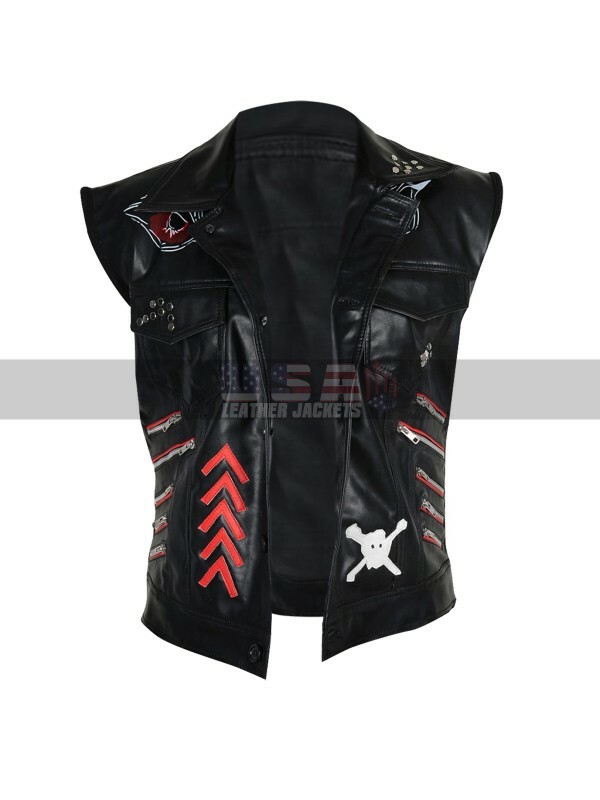 Taking revelation from the WWE ring it is a fabulous fashion emblem of the famous American professional wrestler Baron Corbin. He not only thrills with his bold moves in the ring but also with a striking style presence. 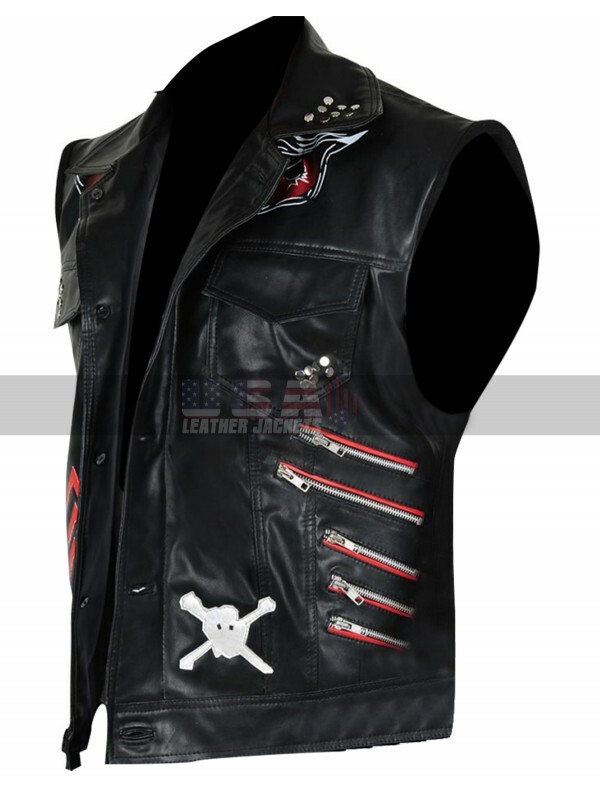 This gorgeously designed vest has been made with superb quality leather material in a ravishing black finish. An inner viscose lining is added to accomplish sound comfort and solace to the wearer. 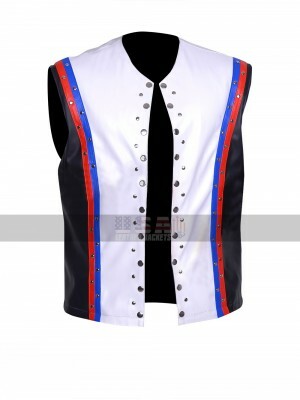 The classic design of the vest highlights a turn down smart collar and a prominent front buttoned closure for a tempting look. 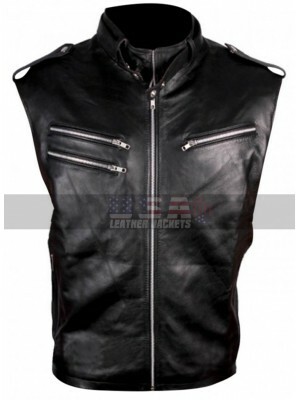 There are two flapped chest pockets and side zippered pockets that appear extremely captivating. There are certain more style elements like silver studs, ample front zippers, red color multiple arrows design and a skull with cross bones all together impart a fascinating outlook. 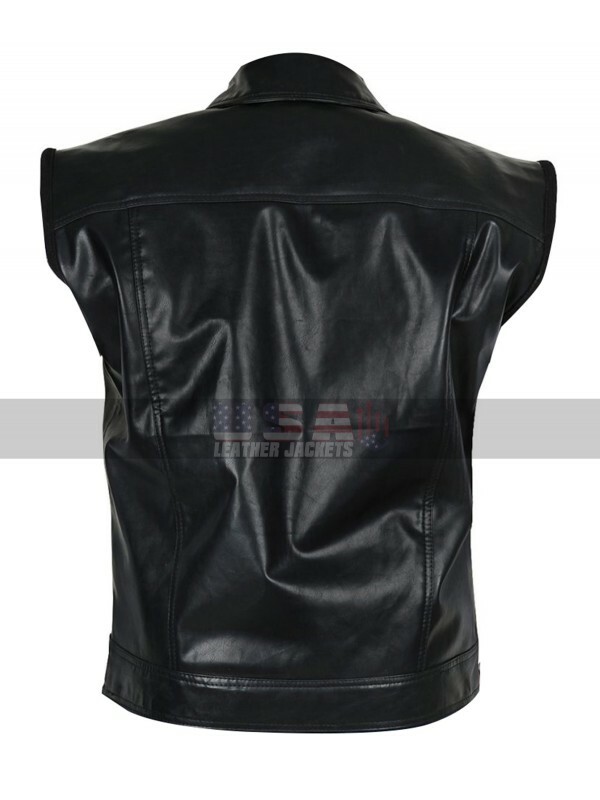 It works perfect for bikers, cosplays and for everyone who want to undergo a comfortable experience with flawless fashion looks. 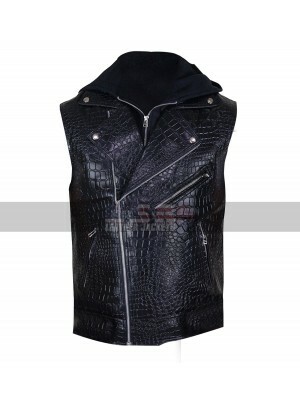 WWE Randal Keith Orton Hoodie Outta Nowhere Vest Randy Or..
WWE SmackDown Allen Neal Jones Leather Vest Anyone who is.. Calling all the fans of the multi-talented, masculine Americ..
For all fashion lovers wrestling fans here we are presenting..